IntelLiDrives Circular Voice Coil Positioning Stages (ICVCA) are designed with zero hysteresis and low electrical/mechanical constants. 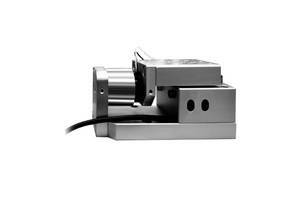 The stages come with low moving mass and integrated linear encoder. Offering stroke of 8 mm to 30 mm and force ranging from 50 N to 650 N, positing stages are suitable for applications where low ripple force and repeatability is required. IntelLiDrives Circular Voice Coil Positioning Stage (ICVCA) is a compact stage ideal for closed loop short stroke positioning applications where precision, repeatability and low force ripple are of utmost importance. ICVCA stages are built with precision cross roller guides that provides high rigidity to complement the high acceleration capability of the ICVC module which has very low electrical/mechanical constants and zero hysteresis. A perfect combination for majority voice coil applications requiring precise quick oscillation at high accelerations of light payloads.